To understand deliverance and why it is needed, you should look no further than the sinful nature inherent within us all. 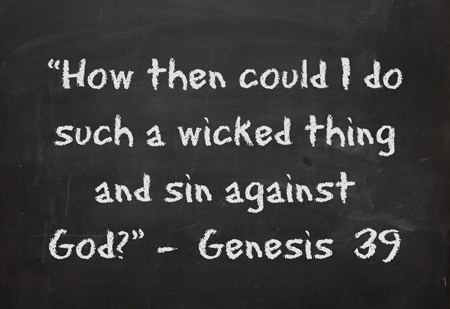 The very way in which mankind is predisposed to doing acts and deeds of evil, even those seemingly banal in nature is evidence of the fruit that came with the fall of man (original sin) post creation. The fall has not only created a chasm between mankind and God that can only be bridged by the works of salvation wrought in Christ; but has left mankind predisposed to the possibility and prospect of coming under spiritual attacks of any description. Every person born subsequently post the the fall of mankind, has within their making imprint of the sinful nature. Although not readily perceived to be the case, the Holy Bible makes clear that the sinful nature instil in everyone born into this world an abnormal mind-set to do things contrary to the expressed and revealed will of God. The Holy Bible describes this mind-set as the law of sin see Romans 7:14 - 23 (King James Version) . This contrary nature and working of the mind is dangerous because it makes us prone and highly susceptible to the onslaught of ungodly spirits hostile to the values of God’s Kingdom. It is for this very reason that Jesus came to lay down His life for the sin of this world, in order that mankind should no longer continue living in servitude to the sinful nature and trappings of the kingdom of Satan; but live in righteousness, peace and joy in the Holy Spirit. When most people think of the domain or kingdom of Satan they often think of hell as fitting that description. In fact many are convinced that hell is the equivalent and opposite of heaven, where Satan presides over those who have rejected God. This caricature of hell although in some sense compelling is according to the Holy Bible profoundly untrue. Hell is not the kingdom of Satan, in fact, it is a place Satan and his cohorts are doing their uttermost to avoid because the very thought of being there fills them with dread and terror. The kingdom of Satan is more about the dominion, influence, governance and rule of Satan than it is about a precise location somewhere in the universe. The defining article of Satan's kingdom is sin and rebellion; therefore where sin is prevalent and allowed to be encouraged; even in some cases celebrated, the dominion and kingdom of Satan is present. This world we currrently inhabit fits the mould which should come as no surprise to any astute reader of the Holy Bible. A closer look at what the Word of God says is revealing of the truth. The Devil once showed Jesus the kingdoms of the world in a flash and promised to give them to Him, if Jesus would render worship to him (Devil). The LORD Jesus described the Devil (Satan) as a muderer from the beginning and the father of lies see John 8:44 (King James Version) . From the Biblical perspective, the Kingdom of Satan thrives where sin abounds. Anyone caught up in sin, celebrating sin, encouraging sin is fact caught up with Satan and is prone to being governed and ruled by the dictates of his kingdom. In addition to delivering mankind from the sinful nature, The LORD Jesus Christ came to set us free from the kingdom of Satan, which is the domain of sin. If you have come to this site because you are seeking a better understanding of deliverance, do not despair because you have come to the right place. Although exorcism and deliverance are used interchangeably by those who do not understand the difference, they are not in fact the same. The ritual of exorcism involves many things even the invocation of angels, archangels, and ascended saints etc that seems to hold sway in Roman Catholicism. While this has been no doubt a long standing tradition with religious organisations that adhere to such practice, it must be acknowledged that it lacks New Testament Biblical precedence that can be drawn upon as evidence to support it. Much of the ritualitic tradition of exorcism are indeed borrowed from other ancient Near Eastern religious traditions. Much in the same way that exorcism lacks New Testament precedence, syncretic approaches to deliverance such methods prevalent in some parts of the world equally has no Biblical foundation. Deliverance is commensurate with the tenet of the Gospel and can only be exercised on the merit of the Cross, since the LORD Jesus Christ has satisfied for all eternity the conditions and requirements of our salvation. Therefore, in applying deliverance you are in actuality reinforcing what Christ has already fulfilled, and basing that as the only condition attached in demanding the release of the spiritually afflicted from spiritual forces hostile to them. The kingdom of Satan understands the LORD Jesus Christ and have enormous and fearful respect for His authority, hence they are obliged in His name, and His name only to let their captives go see Philippians 2:9 - 11 (King James Version) . The effectiveness of deliverance is not primarily determined by the intensity of the said deliverance prayers, but in the deliverance seekers' attitude towards the cause of their predicament which necessitated the need for deliverance in the first instance. It is emphatically wrong to blame the Devil or any of his cohorts for the ungodly predicament in which you find yourself as it is totally unhelpful. Yes the Devil and his cohorts does and will put temptation in your way, engineer situations for you to be entrapped or even assign others to mislead you. In the final analysis, it would still be a matter of choice to succumb to the Devil's wiles. The Devil requires that you commit certain sin that allows him and his cohorts to exercise dominion over you, but he cannot make you do those sin. For those who do not believe in the LORD Jesus Christ, at the very least spiritual attack is brought on by their ignorance of the grace of God, since they are sitting targets for the powers of darkness to strike at will. In contrast those who believe and confess Jesus as LORD and Saviour should not fall victim to the Devil and his cohorts. In the unfortunate circumstance that they do find themselves spiritually afflicted, then responsibility falls on them. Anyone refusing to accept responsibility for their conduct of sin or adhering to the sinful nature, will struggle to obtain deliverance. However, don't just take responsibility for the sake of it, but examine yourself and establish whether you have a clear conscience before God in reference to the ungodly predicament in which, you find yourself see Psalm 119:67 (King James Version) . For the believer of Christ, it is imperative to know that the Devil cannot make you do anything that you did not already have in mind to do. "If I cast out demons by the Holy Spirit of God behold the Kingdom of God has come upon you." said the LORD Jesus Christ see Matthew 12:38 and Luke 11:20 (King James Version) . This remarkable statement by Jesus is strikingly profound as it is intentional in signalling the purpose, values and power of God's Kingdom over the Devil and his works. Keep in mind that word 'Gospel' literally translated meaning 'Good News' when Jesus spoke of the Good News, He was evidently talking about the benefits of God's Kingdom. Being born again is the only way to enter God's Kingdom, but the Kingdom has got to be lived out in the demonstration of God's power and Spirit see 1 Corinthians 2:4 (King James Version) , for it to become the bona fide experience for those who are saved. Consequently biblical deliverance brings this reality of God's Kingdom to bear on the works of the Devil and his cohorts, for this very simple reason, the governance of the Kingdom is not ruled or administered by man, but by the Risen LORD Jesus Christ. This is why it is and remains completely futile for deliverance to be anything other than be commensurate with the tenet of the Gospel. The Kingdom of God, therefore is about the oridance, rule and governance of Christ in and upon those that are saved, being saved and will be saved; brought to life by the Holy Spirit of God. It is the transformation that takes hold of a person living within the righteousness of God in Christ, whose behaviour, conduct and thoughts are informed by the Living Word (Jesus) and regulated by the Holy Spirit of God given to bring glory to Christ in this world. To fully partake in the Kingdom of God and be governed by its value, it is imperative for those who seek the Kingdom to be conformed in the attitude of their minds, to the truth of God's Word. This truth must be impressed upon the minds on those seeking to be delivered, in order to repurpose their mentality for accomplishing deliverance that last and has no drawbacks. When the delivered is fully immersed in the rule and governance of God's Kingdom, it is impossible if not inordinately difficult for them to be recaptured by the wiles of the Devil. Therefore, understanding the values of God's Kingdom is key to staying delivered after deliverance has taken place. In deliverance, the only benchmark by which the demonic and satanic are held thoroughly to account is the Word of God, because the Word of God is truth.It is stating the obvious but truth matters significantly when you seek to address or confront ungodly spiritual forces. To do otherwise opens you up to being deceived and subjected to further spiritual manipulation. Evil spirits have a natural aversion to the truth because, truth in itself is a divine attribute and quality of God. Therefore, confronting the demonic and satanic in the truth is akin to participating in the divine nature of God. The realm of the demonic and satanic find it inordinately difficult if not impossible to contest the truth of God. The best they could and do offer is a distortion of the truth, even that is ineffectual against believers that are firmly anchored on the better hope and promises of the Gospel. The truth embodies the divine reality of God, and in biblical terms, that divine reality is manifest in the person of the Holy Spirit, who has the power to shape and govern lives in accordance with the will of God. Biblical truth is the conduit by which the effectual miraculous working power of God is released to effect divine change, hence the saying "The truth shall make you free." by the LORD Jesus Christ anticipates action in response to the truth you have heard. In the absence of God's truth His power cannot be released as failure to acknowledge His truth does not warrant His intervention. Think about it, you are probably more likely to be told not to have your hopes up in believing in God. Most people who offer such counsel have had or experienced disappointments in their efforts to trust God, and therefore limit the truthfulness of God's promises down to their experience of failure and disappointment. Whilst people experience disappointment and failure from time to time, it does not and cannot take anything away from what God has promised and besides, only God truly know the hearts and minds that hold fast to His truth. Deliverance seekers must be prepared to embrace and respond Biblically to the truth of God in relation to themselves, and act on the knowledge of that truth to effect the release of God's power. "For the preaching of the cross is to them that perish foolishness; but unto us which are saved it is the power of God." said Paul, an Apostle of Christ see 1 Corinthians 1:18 (King James Version) . Everything to do with deliverance and bringing about the desired result rest soley on the power of God. This power incidently is what an Apostle of Christ defines as the act of preaching the Cross. In denoting deliverance, redemption and salvation the Cross is also emblematic of unspeakable pain and suffering, where The LORD Jesus Christ became the propitiation for the sin of the world in order to redeem mankind from sin and death. Every problem whether it be spiritual, physical and otherwise that can ever affect mankind, has in truth been remedied by the Cross, which is the power of God. The implication being that the message or preaching of the Cross must be espoused, taught and explained to deliverance seekers in order for the miraculous working power of God to take effect. As you search the Gospel it becomes plain to see that everyone that had received a blessing, deliverance and healing of any description from Jesus and His disciples, did so because they acknowledged and believed in Jesus, and the message that He preached. On the Cross the LORD Jesus Christ defeated and destroyed the enterprises and works of Satan and his kingdom. He continues to do so today in the lives of all who seek deliverance and salavtion in His Holy name. 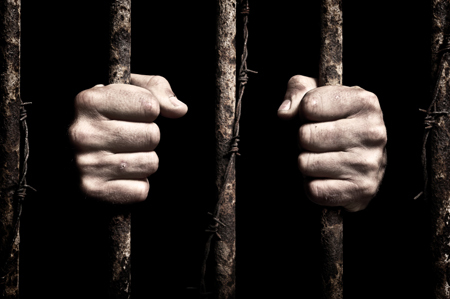 He did this to demonstrate that in a world plagued by wickedness; you have a choice to either live under the oppressive yoke of Satan and be subject to the determination and rule of his kingdom; or live in the excellence of His Spirit and power, which is emancipation and freedom from the powers of this dark world see Ephesians 6:12 (King James Version) . It should not be a difficult choice to make if you are and have been oppressed by subversive, hostile and wicked spiritual forces. Modernity and post modernity has challenged and shaped much of what happens and are taught in the body of Christ. It would be insidious and ignorant not to acknowledge their input and effects on believers' ability to respond in faith to the integrity of God's Word. In short it has and continues educating vast number of Christians out of the art of trusting and believing in God; to the effect that when confronted with spiritual attack, despair and hopelessness ensues. Jesus is the power of God, and the authority of His name see Mark 16:15 - 20 (King James Version) which sanctions the preaching of the Gospel is as relevant today, as it was when He first appeared in the full likeness of mankind. Faith in God and in the promises of His Word is truly an exceptional quality for any serious minded believer to possess and have equally in good measure. Faith is generally understood as taking risk and the idea of risk taking fills people with anxiety due to uncertainties it also creates. Whilst there is an element of risk taking in regard to faith, it is not what typically defines faith from the Biblical perspective. According to the Holy Bible, faith is defined as confidence in God and in what He has said, spoken or promised. The fact that God has said, spoken or promised a particular thing either in His Word or to you personally only means that He is able also to perform as He has made known. To trust in the certainty and outcome of what God has promised should not in reality result in you feeling anxious, unnerved or that you are needlessly taking a risk; but should correlate with the measure of confidence instilled, by virtue of the grace given you in Christ. Basically, the LORD Jesus Christ invites you to trust in Him, His Word and promises, because He has in mind to reciprocate that trust so that you are not put to shame for putting your trust in Him. In that regard, faith rather that it being as is typically understood risk taking, should instead be understood as spiritual excellence. It is spiritual excellence for one simple reason, you are taking the spoken or written Word of God, acting upon the promises contained and watching that Word transform your ordinary or troubled filled situation into extraordinary possiblities which only God can deliver. In some instances of the Gospel narrative you read accounts of those who presented themselves to Jesus for healing and deliverance, were later commended by the LORD because of the exemplary faith they had and shown in Him. Those same indvidual concerned could not do anything in their own power to change their misfortune, but knew that in Jesus they found a person who could make all the difference. That is spiritual excellence in action and is certainly required in those who seek deliverance from the works of evil. 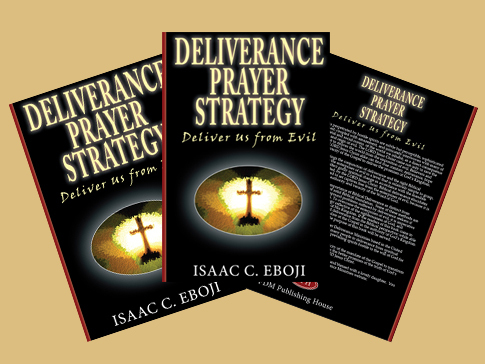 It is one thing to say deliverance prayer, it is quite another to say it with confidence in God. There are several elements that makes for efficacious prayer or prayer that contains power to deliver or bring about the desired and expected outcome (freedom from hostile spirits). These elements are geared specifically towards deliverance but can also be applied in everyday life. Some of these elements have already been mentioned above. The bringing together of these elements to interact cohesively is the product of prayer efficacy. You will find more on Prayer Efficacy by visiting My Access, but suffice it is to say, prayers are words at times that are the summation of what the person praying feels, it can also be the diligent expression of a person conversing with God resulting in the outpouring of praise; further still, it can be the formulated response born out of suffering conveyed by a person in prayer to God, and last but not least it can be a formulated response in deliberately targetting the demonic and satanic with the aim of subverting their wicked works. Whatever, the demands or needs, prayer efficacy is an essential prerequiste to not just praying, but useful in repurposing the mind-set to think and approach the prayer life from the Biblical perspective. How often do you start your prayer hallowing the name of God, and anticipating His Will to be done here on earth as it is in heaven? How often do you pray for the manifestation of His Kingdom now in your circumstances and refused to be conditioned by the ungodly impositions? Yet these are the elementary principles enshrined in the LORD's instruction on how to pray. Therefore, it is time for serious minded believers to start living up to expectation of a prayer life guided by the foundational principles taught by the LORD Jesus Christ. What makes for effective prayer? What do we mean precisely by the term effective prayer? A prayer life not rooted in the reality of a bona fide relationship with God lacks purposeful outcome and efficacy. When the disciples approached Jesus requesting Him to teach them how to prayer, they were not asking for the mere formalities of praying, but were looking for effective outcome in praying. While some tend to focus on the methodology of what constitute effective prayer, a vital aspect missing is the correlation between the methodology applied and its usefulness in helping people to know who God is. To be honest, some methods aide in disconnecting people from the reality of God, taking them away from the centrality of the Gospel. Whilst there is nothing inherently wrong with having a prescribed method if its goal is to instil spiritual discipline, such a method can only ever be useful if it invites you to know God beyond the immediacy of the problems encountered in your life. Effective prayer is not what you do necessarily whilst in prayer mode; it is also about what you do when not in prayer mode. Perhaps not so surprising the things you do when not in the act of praying does have significant bearing on the outcome of your prayer. There should never be a disconnect between you and your prayer life, for you are what you pray. We must appreciate however imperfect the disciples would have been exposed to some formal prayer discipline prior to knowing Jesus and followed by becoming His disciples. They came from a long standing tradition of a people group that had a subsisting covenant relationship with God by virtue of their direct descent from Abraham, a man whom God described as His friend. It is in this context and against this backdrop the disciples requested Jesus to teach them how to pray. Thus intending to signify that prayer was not just an exercise designed to conform to the norms of religiosity, rather, it is intended to be efficacious, commensurate with an admission of our own inadequacies before a holy God, and our need and desire to be close to Him; in order to responsibly bear the authority of His Kingdom in this world. Praying in accordance with the demonstrated expectation of the Gospel is to pray effectively. For at the heart of the Gospel is an explicit call to surrender oneself in expressed obedience to the will of God. The will God has and does continue to challenge the will of men, just as what is possible for God exceeds our own capacity to believe, does not and should not mean we aspire less to attain the possibilities of God, even when in the natural the odds are firmly stacked against it. There was never a time both in private and public ministry where the LORD Jesus alluded to effective prayer being ineffective. The LORD Jesus indeed not only taught the effectiveness of prayer but He also practiced what He preached. The lesson we can draw from the experience of the LORD is never to lessen the effectiveness of our prayer, where indicators in the natural seems to be suggesting you throw in the towel. How can effective prayer fail if and when it is grounded in the will of God? Delay is possible, and you may even encounter some setbacks but these in themselves do not undermine the inevitability and outcome of effective prayer. Procrastination in response to prayer offered is often taken by many as a sign that God perhaps is not going to answer their prayer after all. Some are convinced they have done everything humanly possible to address outstanding or unresolved matters that could potentially impede the response to their prayer, and wonder why God is not answering or why it is taking so long to see any significant shift in their predicament. Procrastination can also foster uncertainty in minds pervious to the poisonous arrows of the kingdom of Satan, which if not confronted aggressively in spiritual warfare has the capacity to unleash the consequences of the doubt and unbelief festering in their minds over the integrity of God’s Word. Just because Jesus prayed in the Garden hours before He was to be betrayed asking the Father to take away the Cup which He must drink and received no response, does not mean that He was unclear on what the mind of Father was for Him in that predicament. The silence from the Father did not lead Him to doubt the Father’s integrity, but rather strengthened that integrity because above all, He was clear on what His will was. Effective prayer must factor into the equation the possibility of delay while accepting fully although never fully understanding the reason for such delay, rest assured that God who knows, sees and understands all things has a purpose for that delay. As the one who prays, your disposition and indeed only obligation with respect to a committed prayer life is to live in obedience and pray in accordance with the incontrovertible will of God. Launch into the deep in belief, conviction and faith in God, where for any reason you feel a response to your prayer is delayed. The only antidote to dealing with delay in response to your prayer is more effective prayer, safe in the certainty, knowledge and prevailing wisdom; the will of God must and will surely prevail accordingly as you have prayed. Hope is an ever present constant theme in the Holy Bible that God encourages of His people, and those whose expectations are informed by the truth of God's Word. Some people doubt whether God loves them enough to have them delivered from the works of evil. Some not doubting the love God but question whether it is His will to have the delivered from the work of evil. The LORD Jesus Christ specifically instructed that we should ask the Father to deliver us from evil whilst teaching His disciples how to pray. This should not really come as a surprise that Jesus clearly expressed we should seek to be delivered from evil, because it has never been the will of the Father to have anyone destroyed by evil. From a deliverance perspective, many want to know will God deliver them or are they deserving of God's deliverance? The short simple answer is yes on the condition deliverance seekers apply themselves diligently going forward in being delivered. Where spiritual excellence is confidence, hope eagarly expects the fulfilment of God's promises and Word. We hope because it is only within God's power to bring to fruition that which we expect in accordance with His Word. The only thing left is to thank God for the things you hope for see Philippians 4:8 (King James Version) and make mention of His Word in support of your expectations. Even if you can only muster a glimmer of hope, it is still nonetheless hope of a sort see Isaiah 42:3 (King James Version) , which can still be nurtured to the increase of your faith in the certainties of God's promises. Your hope for deliverance can be fulfilled, once you have resolved the issues holding you back from fully trusting in God. The best way of course to resolve any outstanding spiritual issues and nurture your hope is by prayer, reflection and prayer. A high percentage of Christians and churches do not teach deliverance for variety of reasons. Foremost reason is the notion that deliverance is not necessary once a person is born again, or that deliverance is only meant for people who are not believers in Christ. Another reason is the demonic encounter recorded in the New Testament has since ceased. Those who put forward this view have yet to provide any cogent argument accounting for what has become of those same demons, who presumably are in limbos. The truth is most people who have displayed obvious signs of spiritual problems in our experience have been overwhelmingly those who are born again, or at the very least consider themselves to be born again. Most if not all of them will tell you they have accepted Jesus into their lives as their LORD and Saviour. Should their born again experience be negated as though it never happened, due to the demonic problems that has ensued their lives for reasons not connected with their acceptance of the LORD Jesus Christ in the first instance? Most reasonable minded believers would emphatically say no. Then in that case it only serves to highlight the need for deliverance to be taught in the body of Christ to dispel ill-concieved understanding of the demonic and attempts by the demonic to blindside Christians and churches. We plan in due course to make availabe deliverance courses that covers a broad range of subjects all of which are undergirded by the Word of God. The deliverance courses initially will be available online and later adapted specifically to meet needs of churches and Christian groups. When we have more information on the progress of the deliverance courses, they will be made available here. If you are a regular visitor to this site you would have noticed some changes. One of the major change is the introduction to My Access, which is a secure area of this site. This secure area was developed to bring together deliverance prayer needs more centrally to one place, so that we can personalise our ministry to you, whilst greatly limiting time wasting E-mail spambots from taking up our valuable time responding to those who really do need our help. The Deliverance Prayer Request form, other forms, deliverance prayer programmes and more are only accessible via My Access. In order to view contents contained within My Access, you are required to sign up, check your email used for signing up and activate your your sign up.